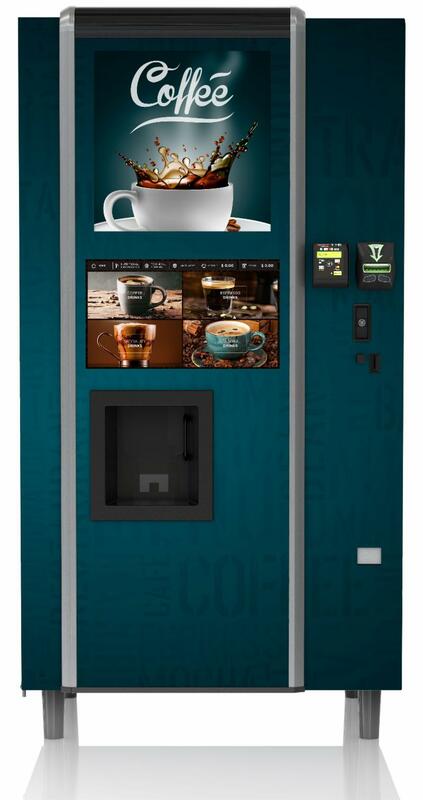 The new Café CURVE door from Vendors Exchange International features an interactive, backlit, 21.5-inch touchscreen and provides customers a variety of customizable drinks and cup sizes. Vending and micro market operators can add selections with an assortment of cup sizes and can upcharge for additional flavors or condiments. The unit is ADA compliant. The Café CURVE allows vending and micro market operators to update existing coffee machines for a fraction of the cost of adding a new machine. Vendors Exchange International Inc. provides remanufactured vending equipment, replacement parts, graphics and electronic repair.